If so, register today as we make our annual Guinness World Record attempt to have the most people with Kyle as their first name. This attempt will take place around 10a.m. on Saturday, Aug. 31, 2019, during our annual “Kyle Pie in the Sky” Hot Air Balloon Festival. All participants will check-in at the designated location and will then gather for one mass participation photo. 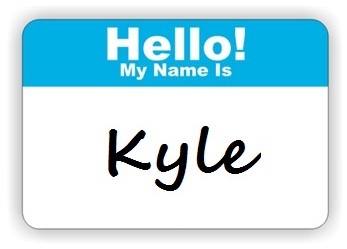 Participants will not only get to take part in this World Record attempt but they will also get into the festival FOR FREE and be able to go home with some awesome “Kyle” swag! A huge thank-you to the Rotary Club of Kyle and the Kyle Chamber of Commerce for hosting this attempt! Ready to make history? Register here!